When one thinks of Esquire magazine today, we think of the ‘Sexiest Woman Alive’ poll, as well as articles on men’s fashion, and a platform for new and emerging hotshot writers. Yet, Esquire was the hot magazine of the ‘60s thanks to its experimental, then boundary-pushing forms of journalism and its star editor Harold Hayes. Smiling Through the Apocalypse: Esquire in the 60s documents the rise and fall of both Esquire and Hayes’ presence in the social and cultural mainstream. Written, directed and narrated by Tom Hayes, Harold Hayes’ son, the documentary features interviews with past and present Esquire writers, editors, photographers and staff, as well as film clips and sound recordings of Harold Hayes at work and at home. The documentary dives into both Harold Hayes’ past and Esquire’s history; this context is important because it demonstrates just how fateful it was for their two paths to coincide. Hayes was a southern liberal constantly seeking knowledge and pushing boundaries. The best example is of his experience with his college literary magazine, where he tracked down the jazz band Dizzy Gillespie played in, and invited them back to his campus at Wake Forest University for an interview. The band ended up performing as well. It’s important to note that back in the ‘60s, Esquire would take four to five months to print, so content would have to be topical and refreshing. Hayes had a gift for finding a new angle and getting the appropriate, talented writer. Additionally, Hayes and Esquire were a platform for creative giants such as Diane Arbus, Nora Ephron, Norman Mailer and Gay Talese, which helped added further prestige to the magazine. While the documentary mostly praises Hayes (as seems normal for a son to do), it does touch upon some of the editor’s failures—namely the Gore Vidal and William Buckley feud that carried over from the 1968 Democratic National Convention into the pages of Esquire, which eventually resulted in a lawsuit against the magazine. This along with a few other humbling instances help humanize the admirable subject of the film. 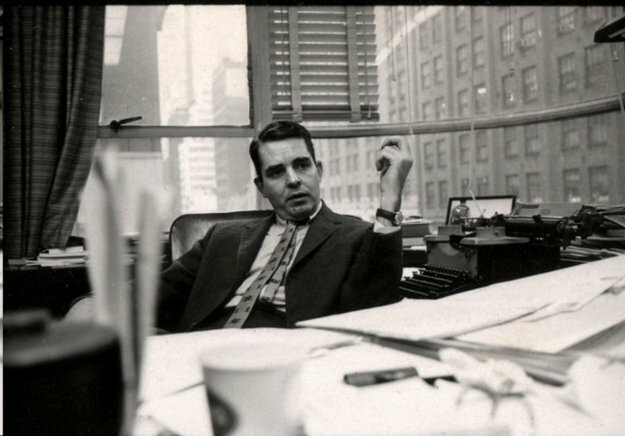 A magazine’s voice is shaped by its editor; Esquire’s unique voice in the ‘60s can be attributed to Hayes’ burning interest in culture and quest for information. As the documentary states, Hayes was interested in both sides of a story, of humanizing who or what might be considered monstrous, as long as it was interesting. Although a slow-paced film, Smiling Through the Apocalypse is a treat for any journalist, history fan, or pop culture aficionado to watch, with its happy narrative and inspirational, larger-than-life character of Harold Hayes.